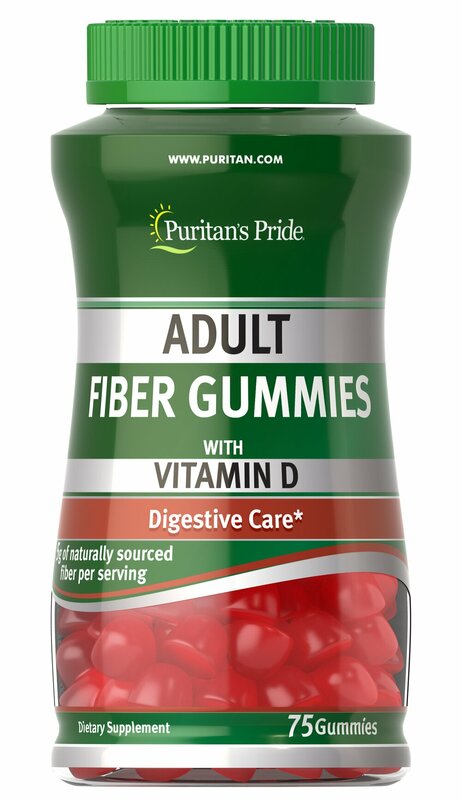 Adult Fiber Gummies with Vitamin D are a good dietary source of fiber and help move food through the intestinal tract. ** As a daily addition to your diet, one serving of Adult Fiber Gummies with Vitamin D contributes up to 5 grams of the fiber you need daily to maintain good dietary health. ** Includes 75 gummies. No Artificial Sweetener or Flavor, No Preservatives, No Milk, No Lactose, No Soy, No Gluten, No Wheat, No Yeast, No Fish. Sodium Free.